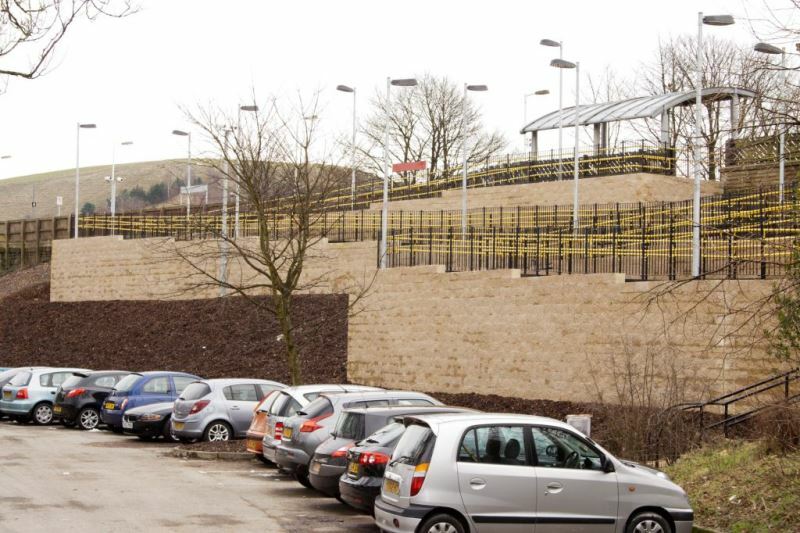 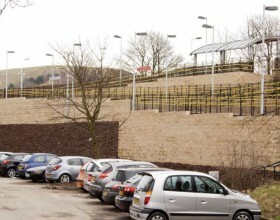 Littleborough Station is constructed on top of a high embankment with a car park at the bottom. 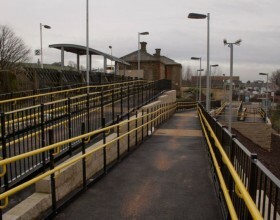 Stairs provided the only pedestrian access from the car park, limiting access to the station for wheelchair and pram users. 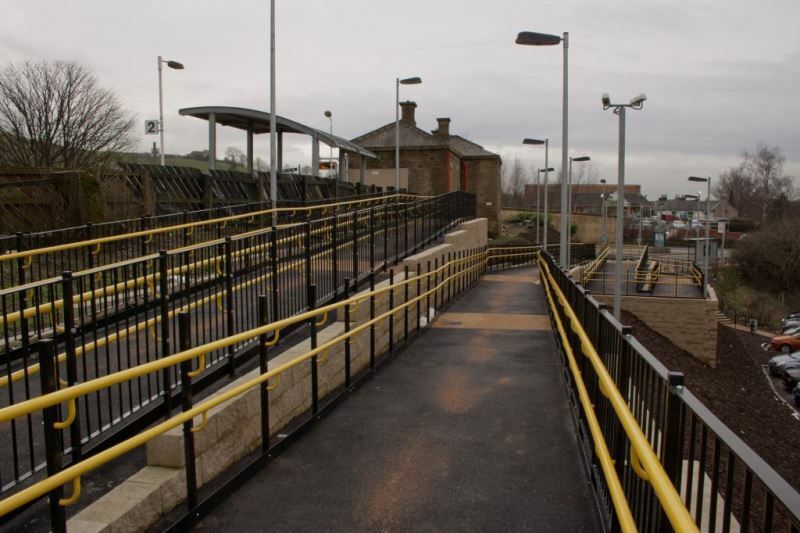 As part of Network Rail’s ‘access for all’ programme for providing step free access to platforms, pedestrian ramps were to be installed on both sides of the embankment. 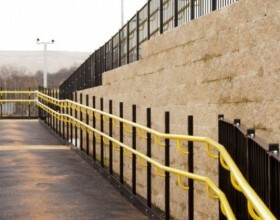 The existing embankment was steep therefore the final solution needed to ensure that the stability of the embankment was not compromised. 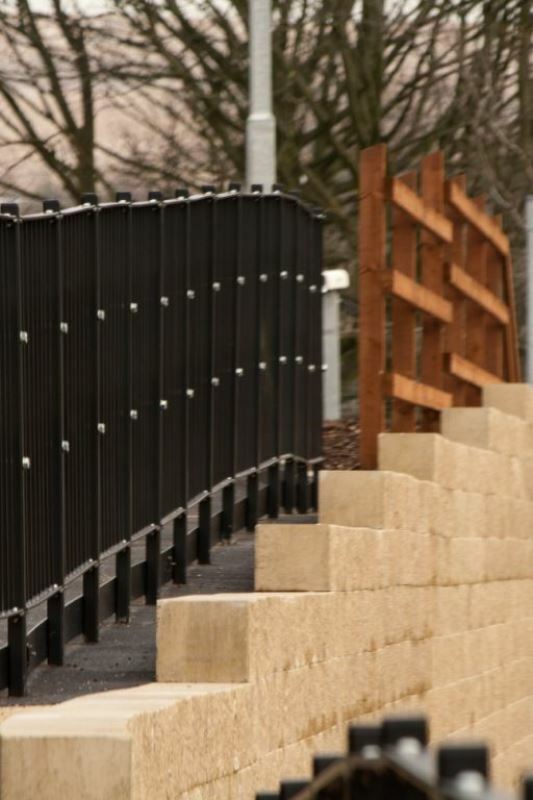 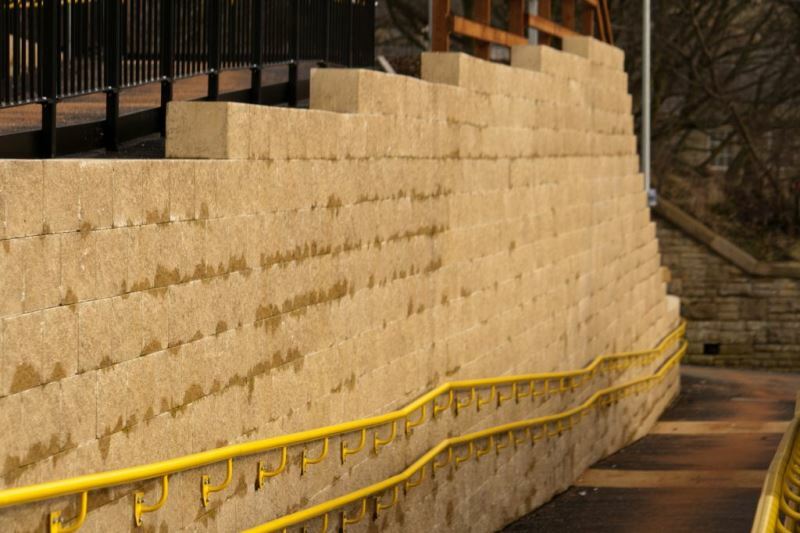 A mixture of reinforced earth walls and concrete backed retaining structures were designed by PaSCoE using the Keystone modular block facing system. 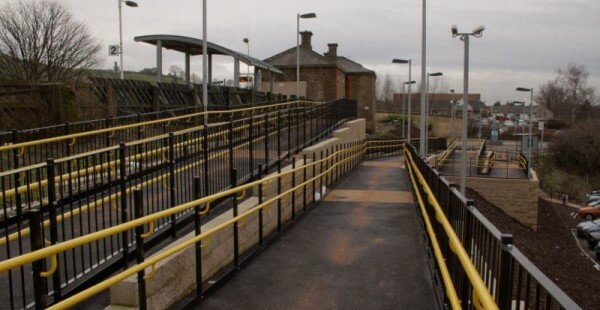 Concrete backed walls were used at the upper levels to allow the walls to be constructed without a reduction in platform width during the works. 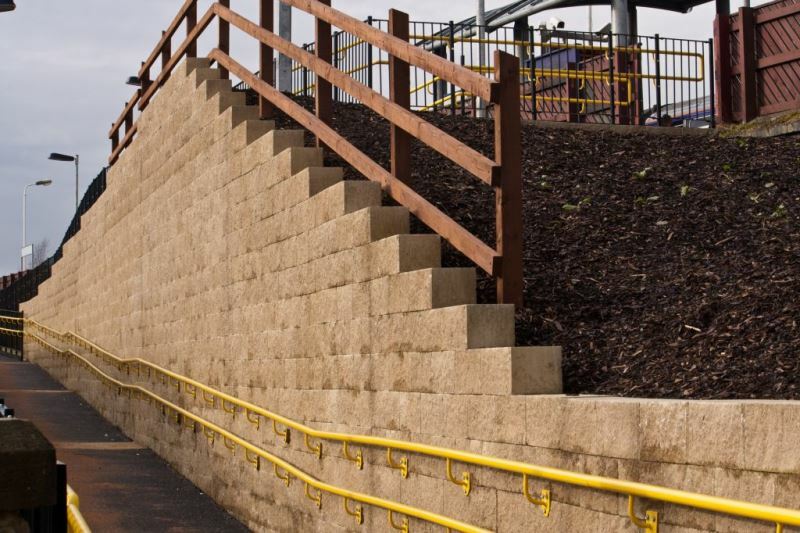 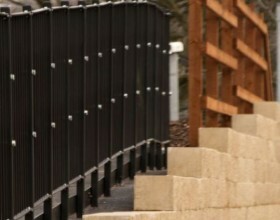 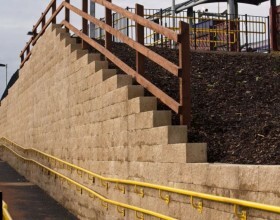 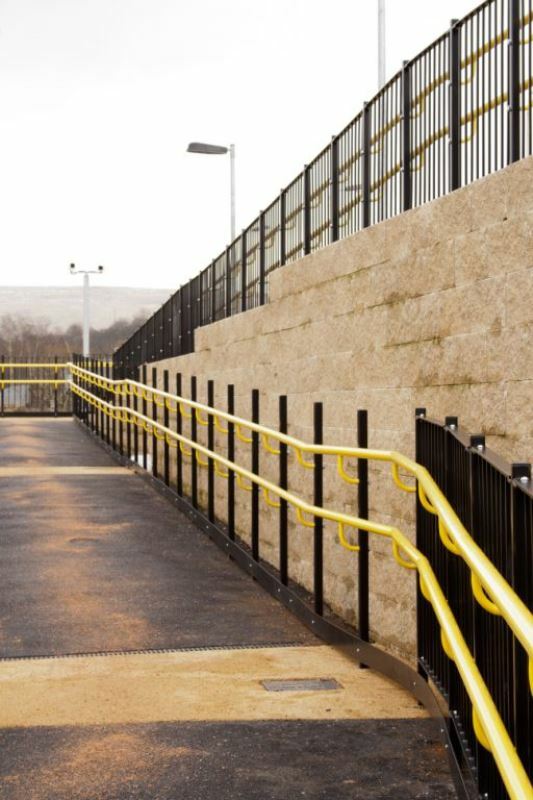 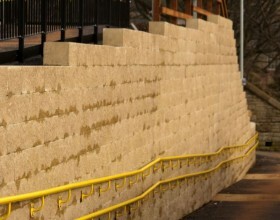 The walls were completed in 2012 and have been in operation for over 12 months providing step free access to the station.